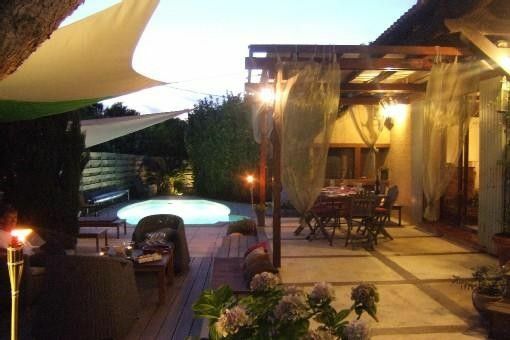 Beautiful house of 140 m2 with garden, pool and shaded terrace. Upscale services (the terraces were completely renovated in 2010 approx 100M2). You can at any time of the day choose the shade or the sun by the pool. The 2 bathrooms were redone in 2011. Located in a very quiet place close to the sea, shops and the neighborhood house that offers many activities. The village of Carro is famous for its fish market and you can enjoy the sea either by practicing water sports (sailing school, windsurfing, diving, fishing) or by relaxing along the coast where you will find places wild little traveled to the rocky coast. You can also walk from the house (5mn) to the largest sandy beach in the area (Verdon beach) with supervised swimming and restaurants. The house has a high chair, a stroller, a cot and a baby bath. Carro is a small village of 1500 inhabitants that offers all the amenities. Several fish restaurants are located there and are supplied by local fishermen who organize a daily market open to all.